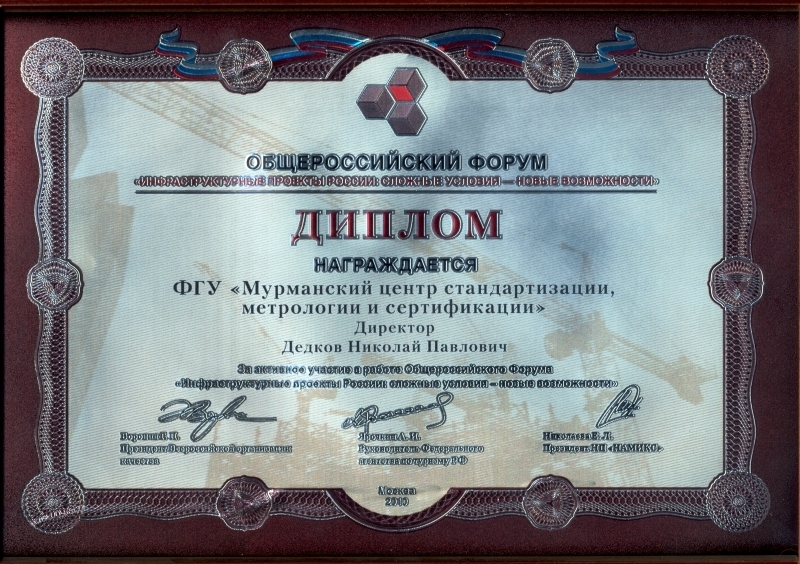 Results of successful work of employees of «FBA «Murmansk CSM» were rewarded by several contests for high professional efficiency by various awards, diplomas and Letters of Merit for supporting social actions and projects. 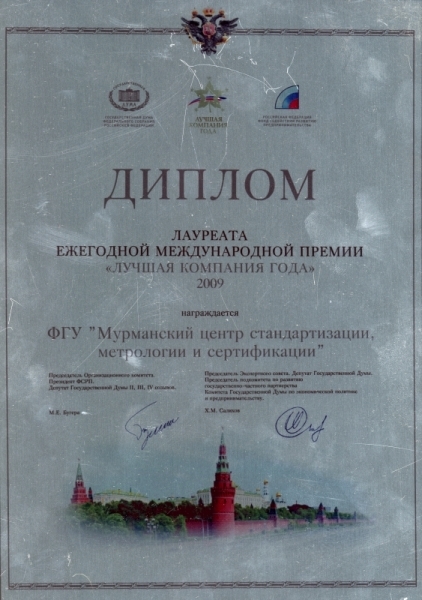 2002 – title «The Leader of Regional Economy» in the Nomination «Modern Efficient Procedures in Implementation the State Policy in the Sphere of Standardization and Provision the Integrity of Measurements» – the contest held by the International Academy of Economics. 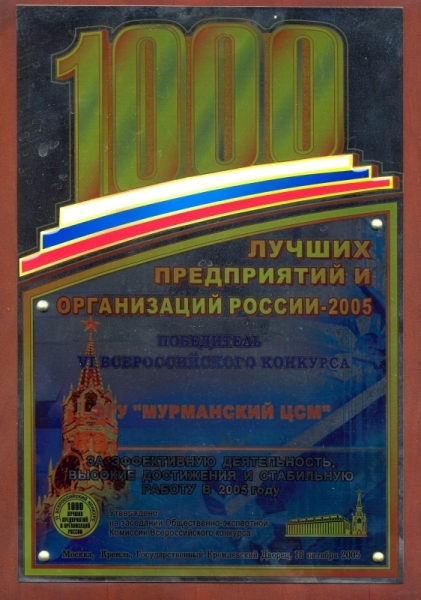 2005 – winner of the VI All-Russia contest «1000 Best Companies and Institutions in Russia» for high achievements, efficiency and stability. 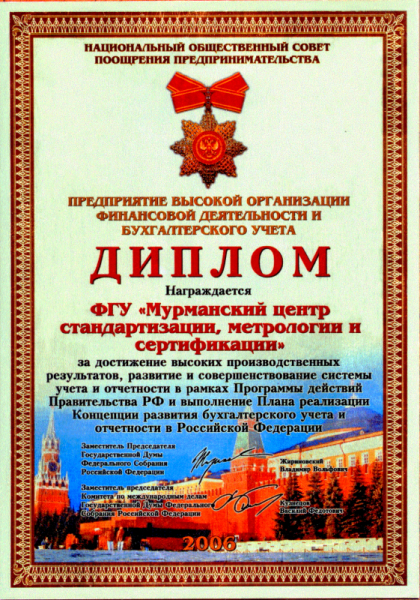 2005 – Honorary Diploma «Leader of Environmental Protection in Russia» of the Organizing Committee of the All-Russia Conference for active position in environmental protection activity and rational use of environment. 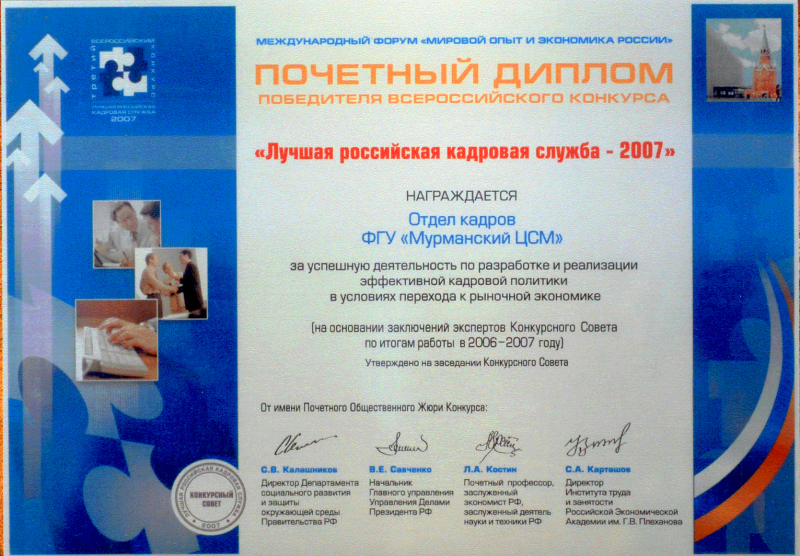 2006 – Diploma for attaining high results, development and improvement of accounting reports within the Programme of the Government of the Russian Federation and implementation the Plan of Developing Accounting and Financial Report System in the Russian Federation supported by the National Public Council of RF. 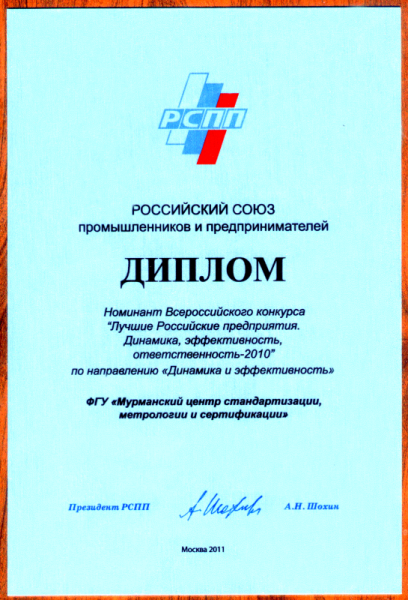 2007 – Honorary Diploma «The Best Personnel Service in Russia – 2007» of the Contest Council as a result of work in 2006-2007. 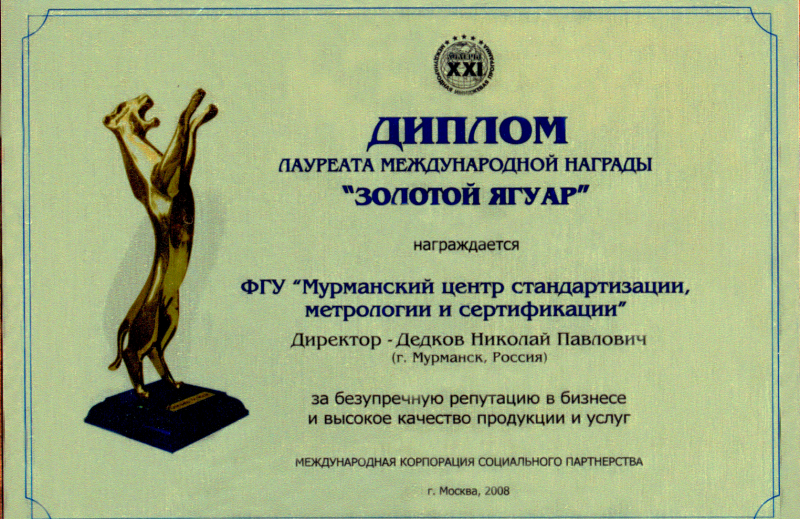 2008 – Prize Winner of International Award «Golden Jaguar» of the Expert Council of the Programme «Leaders of XXI Century». 2009 – «Socially Responsible Company» of the Fund for Promotion Entrepreneurship. 2010 – Diploma «Infrastructural Projects of Russia: Difficult Conditions – New Possibilities». 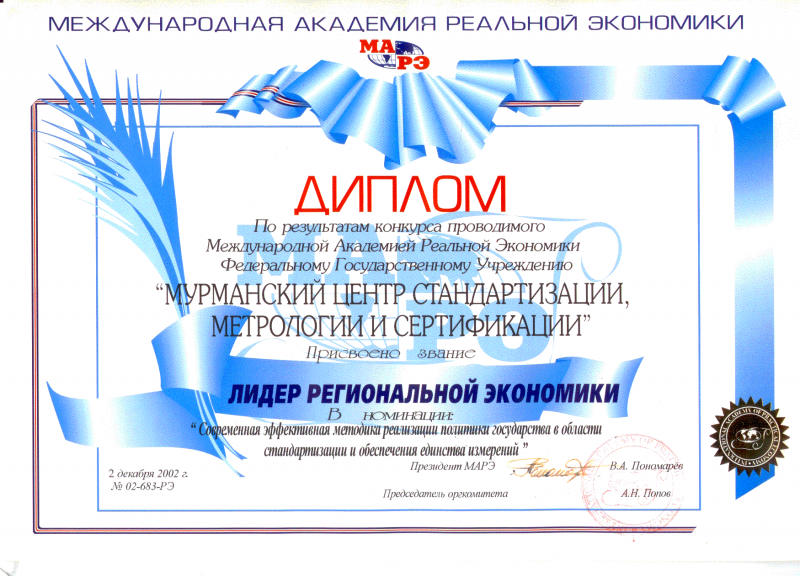 2011 – Diploma «The Best Russian Company. Dynamics, Efficiency» of the Russian Union of Industrialists and Entrepreneurs. 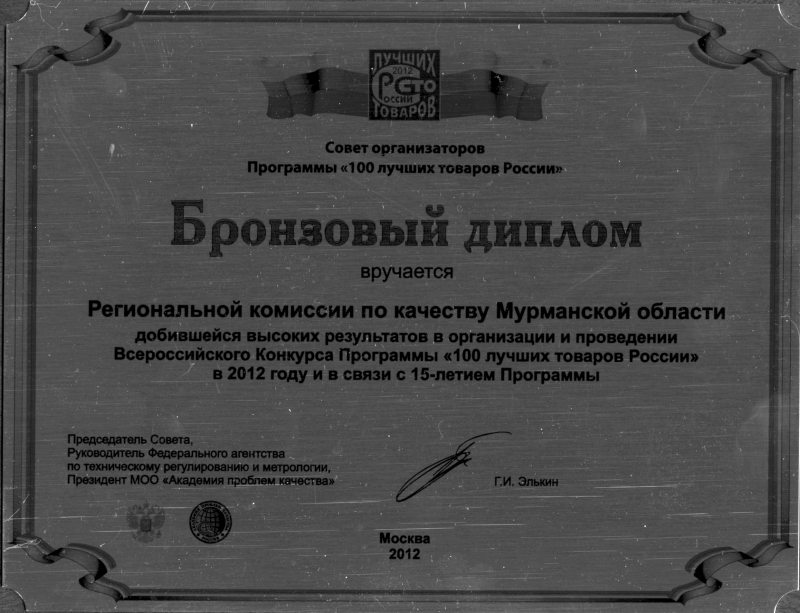 2012 – Bronze Diploma for high results in organization the All-Russia contest within the Programme «100 Best Products in Russia» and on the occasion of the 15th year anniversary of the Programme. 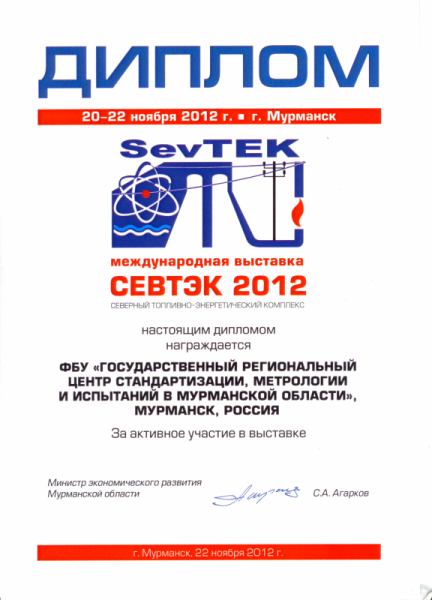 2012 – Diploma of the International Exhibition SEVTECH for the active participation in the Exhibition. 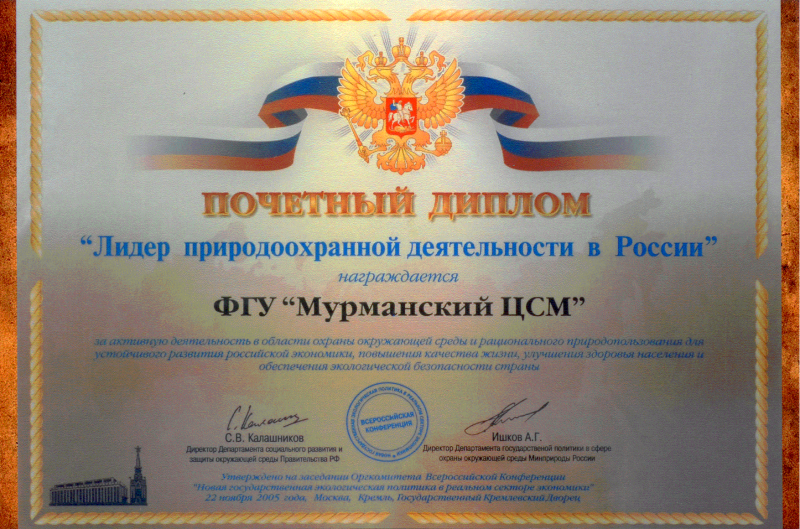 For achievements in organization social the Centre was twice awarded with the Certificate of Appreciation from the All-Russia Contest «Russian Company of High Social Activity», Diploma of the Governor of Murmansk region for charity work and participation in project «Save the Child», Letters of Gratitude for support in organization International children musical contest.